Within the first few pages I was already engrossed in Clary's world. The main reason had to be because there was intense action right in the first few pages. Of course, this then kept me engaged in events that followed. Clary, the protagonist is awesome. Seriously, I love her. And her hair? Clare's amazing description made me want her like that. So beautiful and rich... how cool! Very unpredictable. I didn't know who Clary was going to be with. I found it quite frustrating seeing as many of the times I can tell from the moment any guys are introduced. I even looked at the last few pages and I was so convinced it was Alec. How wrong was I. Jace. Action, suspense, and romance well everything was found in this book. So full of energy and awesomeness... this is a must read! 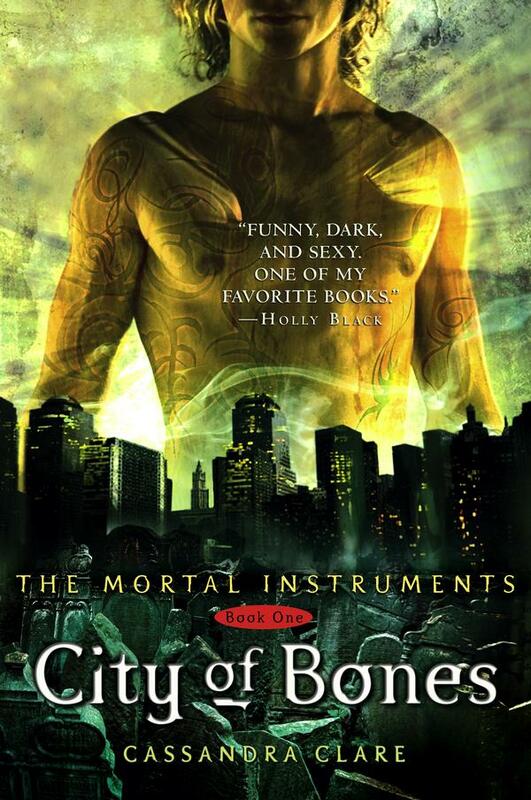 I so can't wait to read City of Ashes!!!!! I love this series! I'm currently reading City of Glass, which is the third book. And like Leila said, there are so many twists and surprises, you'll never expect whats coming! I've heard so many good things about this series and I NEED to get them soon!!! Gosh, I could go on about these books for hours. I agree with you: Clary is an awesome protagonist. And I'm head over heels for Jace. The story line between the two drove me nuts! I couldn't read the books fast enough. Random statement: Magnus Bane is one of my favorite characters ^_^ So much glitter! I have not read this book, but it has been on my wishlist for a while now - I am glad you enjoyed it and thank you for sharing. I really need to get my hands on this series- like asap! I've only been reading about how amazingly good it is and I'm feeling quite guilty for not having started it already. One of my favorite series of all time!!! Very interesting review. I'm glad you said *Spoilers* because yah, you def have some! Lol. Jace and Clary are awesome together, but I agree. I freaked out when I got to the end. Luckily, COA was already out so I just jumped into it. I think I also had to wikipedia it just to make sure they weren't actually siblings. I wouldn't have handled that well. Love me some Luke. He's a good father figure. I love Cassie Clare!She's very funny! AHHHHHHH!!! this author i awesome!! love cassandra clare! Great review! I love this series!